Teramachi “Temple Town” was established over 400 years ago by order of powerful warlord Toyotomi Hideyoshi (1537-1598), specifying the location of hundreds of temples and shrines. 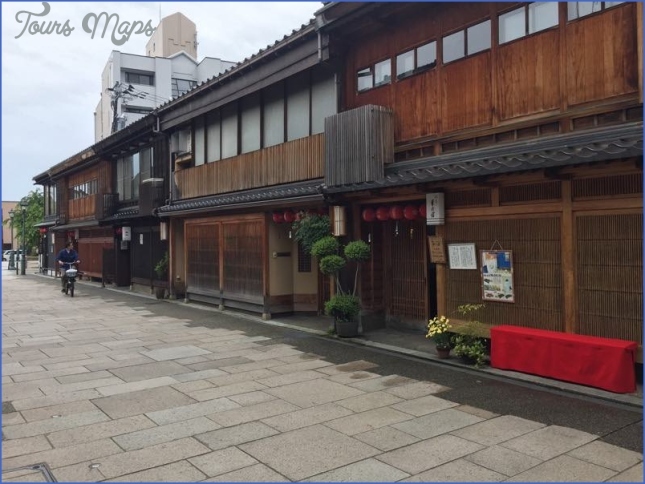 From the Meiji period Teramachi grew rapidly into a commercial center, with its famous Teramachi-dori Street now running through the heart of Kyoto’s main shopping districts. Following Teramachi-dori from its northern end above the Imperial Palace to its southernmost below the busy avenue of Shijo-dori is an easily navigated route for exploring Temple Town and to accomplish some shopping in the process. The upper stretches of Teramachi-dori are quiet, with the inviting gates of surviving temples right along the edge of the street. The “Picture Frame Gate” of Tennei-ji, a Zen Buddhist temple, perfectly frames historic Mount Hiei, known as Hiei-zan, on the eastern horizon. Nearby Amida-ji Temple contains the grave of Oda Nobunaga, the brutal warlord infamous for his bloody attack on the truculent temples of mountain monks atop the very same Hiei-zan in 1571. Teramachi-dori skirts the eastern boundary of Kyoto Gyoen National Garden’s palatial greenery before running down past Kyoto City Hall and into the covered Teramachi Kyogoku Arcade of shops, where it intersects with the enticing aromas and energy of Nishiki Market’s culinary street. Nishiki Tenmangu is a Heian-era shrine on the Shinkyogoku Shopping Arcade. The serene interior of the Hondo Hall at Seigan-ji Temple. The display menu for a “family restaurant” on the Teramachi Shopping Arcade. 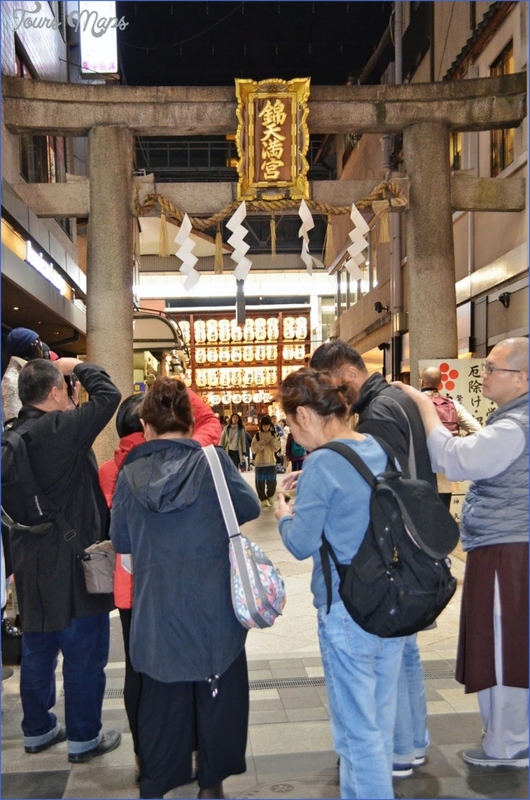 The roofed all-weather Shinkyogoku Shopping Arcade. 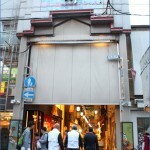 Nishiki’s Aritsugu shop has been offering knives and cooking utensils since 1560. 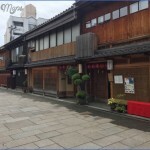 Yasuda Nenju Tan is an exclusive shop for Japanese nenju and juzu prayer beads, first established in 1683. 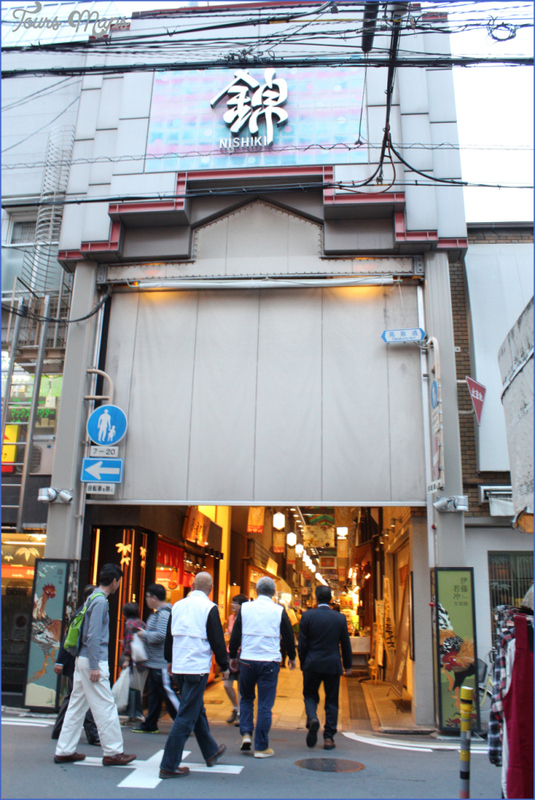 The market along Nishikikoji Street is a daily shopping festival.